When rock breaking and removal without dynamite is necessary, Cameron Dirt Works provides the expertise that only a qualified excavation service can offer with safe and effective services offered at affordable rates for residential or industrial clients in Puyallup. Cameron Dirt Works excavation experts are highly skilled in rock breaking in areas that are difficult to access and in close proximity to structural foundations and basements. We adapt our services to any challenge that requires rock breaking and disposal in Puyallup. Removal and disposal of all debris is carried out in an organized manner and made simple with Cameron Dirt Works’s advanced machinery and hauling equipment. Regardless of the size or difficulty of your project, Cameron Dirt Works excavators will have your residential or industrial site cleared as quickly as possible and abides by the strictest of safety standards. Fully insured and highly qualified, our Puyallup rock breaking crew has years of experience and makes customer safety and satisfaction a top priority. 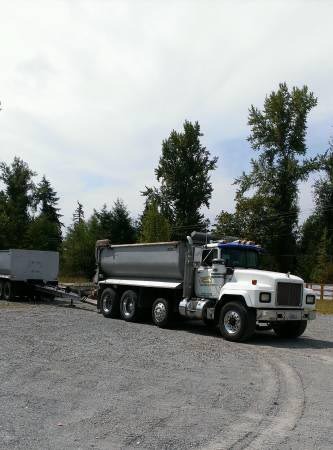 Cameron Dirt Works also provides knowledgeable advice and additional services for filling freshly excavated areas with either soil or gravel to complete a job according to need. Call (253) 606-9574 for more information and a free onsite estimate.